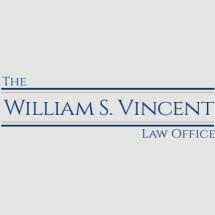 For more than 15 years, our team at the Law Offices of William S. Vincent, Jr., in New Orleans, Louisiana, has advocated for people in matters involving personal injury, Social Security Disability, Supplemental Security Income and workers' compensation. Starting with a free initial consultation, we work through the details of a client's claim to unearth every possible way to secure benefits and compensation. Just as importantly, we keep the people we serve informed throughout the entire process. We meet face-to-face with clients as much as possible. We have a proven history of obtaining favorable verdicts and settlements. We are fluent in state and federal laws that govern our practice area. Ultimately, our goal is to make sure the people who come to the Law Offices of William S. Vincent, Jr., feel heard and comfortable as their case unfolds. We make ourselves available to our clients as much as possible. Each of their concerns is met with an honest, comprehensive answer from an attorney who genuinely cares.